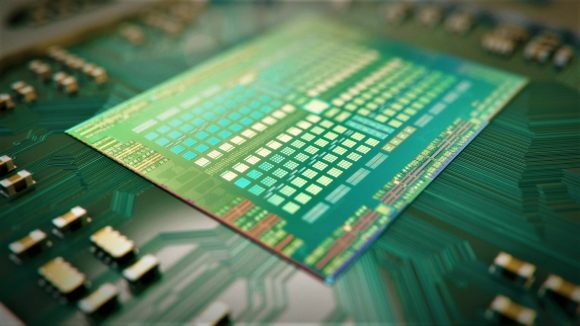 It’s looking more and more likely that AMD will actually be releasing an updated version of its aging Polaris GPU architecture, this time on the 12mn production process for its third outing. We’ve heard increasing numbers of rumours recently pointing to AMD upgrading its mainstream GPU design, which makes us at least mildly confident that this time it might actually happen. We had hoped to have a 12nm Polaris refresh coming earlier in the year, accompanying the 12nm Ryzen refresh from April. But after complete radio silence about any 2018 consumer graphics card activity at AMD’s pre-CES show in January, and only the 7nm Vega GPUs getting any kind of air-time since, we assumed it had been cancelled. But last month a new Polaris device ID appeared in the latest Linux drivers and last week PCOnline claimed that new Polaris 30 GPUs would be dropping between October 12 and October 15, with a higher-end chip being launched in November. The previous rumours had come from graphics card partners talking to the site, with the latest ones claiming that all the cards will come in November. Apparently they’re ‘adamant’ about it, replete with new romantic garb, face paint, and everything. The latest rumours come from Fudzilla, and it claims that its sources are set to bring us these 12nm Polaris 30 cards next month and that they will be offering between 10 and 15% higher gaming performance, thanks mostly to increased clock speeds. In other words, don’t expect to have any sort of GPU design changes for the new cards outside of the die shrink. 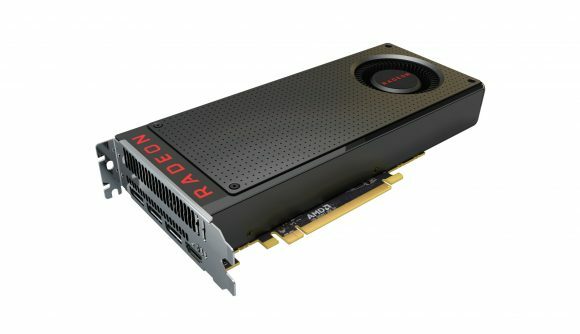 The potential Radeon RX 680 will therefore come with the same 2,304 GCN cores as the RX 580, and the RX 670 with 2,048 GCN cores like the RX 570. It’s unlikely that AMD would pair the new cards up with any fresh, expensive GDDR6 memory, so expect them to just come rocking whatever increased clock speeds the smaller lithography will allow and the same 4/8GB GDDR5 memory configurations. But that could still deliver some decent performance improvements and put some heavy pressure on Nvidia’s shrinking mainstream offering. Right now you can pick up an RX 580 8GB for around $220 or £210, making it currently our pick as the best graphics card for PC gamers on a price/performance basis. For the most part it’s either on par with or beating the competing GTX 1060 6GB and is mostly cheaper. Sure, it’s not the fastest graphics card around, but how many of us can really spend $1,200 on an RTX 2080 Ti?